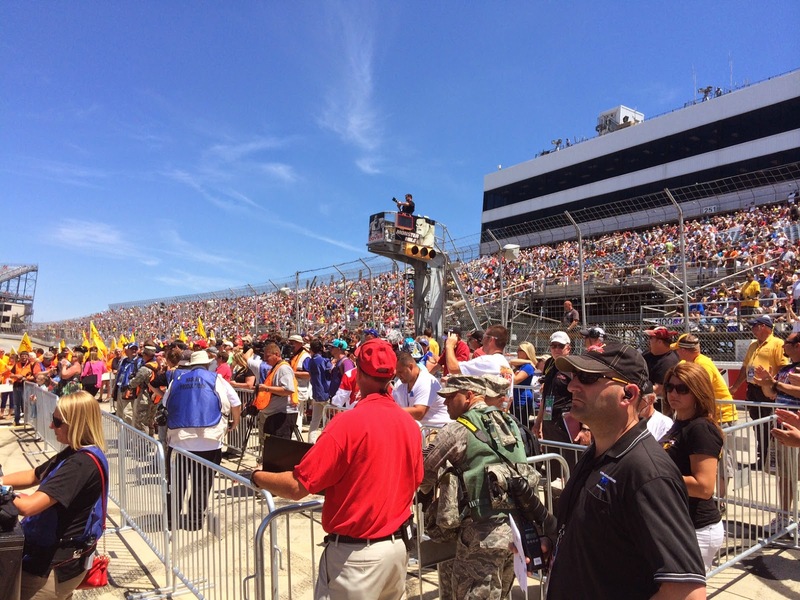 The past Sunday, June 1st, the Memorial Fund once again teamed up with Dover International Speedway® for our 6th Annual Law Enforcement Appreciation Day. A great group of law enforcement officers, their families and supporters participated in our pre-race events which helped to raise more than $5,000 for the National Law Enforcement Museum Campaign. Pre-race activities included raffle prizes from the Dover, bagpipes and drums, and a Nascar® driver appearance! Big raffle prizes at the tent including a ride in the Grand Marshall’s care at the start of the race and a Monster Mile NASCAR Driving School with 10 Laps and U-Drive experience in a NASCAR Race Car on the track. Through this raffle we raised an additional $756.00 in raffle sales and donations. Also before the race, two Delaware State Patrol cars and two Dover Police Department cars did a ceremonial lap. Our special guests for this event were Mrs. Ambre Taylor and her children Tristan and Millie. Ambre’s husband Dino Taylor was a Baltimore City Police Officer who was killed in a traffic crash in 2012. Ambre and the kids had a great time and were very appreciative. 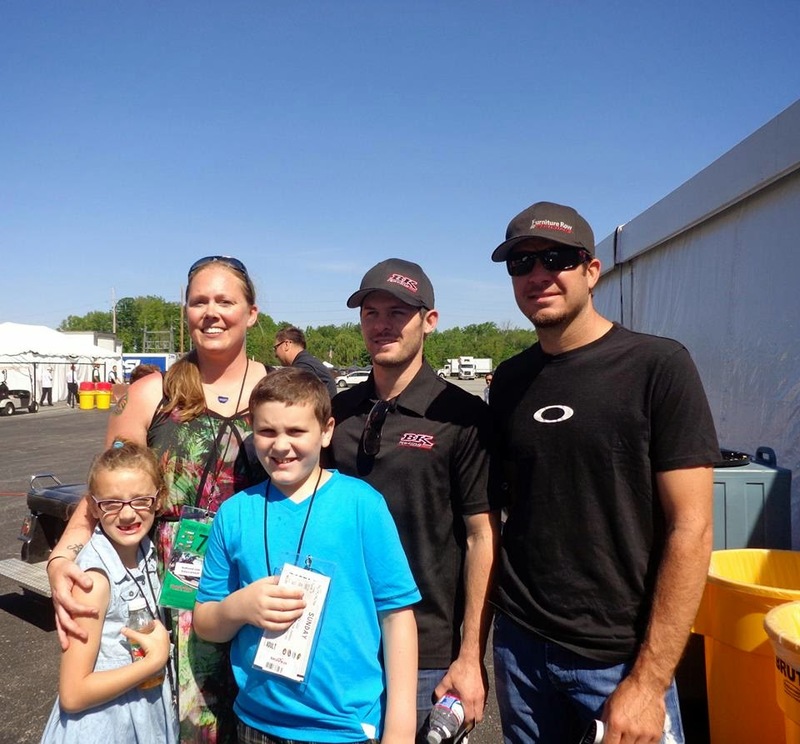 NASCAR Drivers Martin and Ryan Truex visited the Memorial Fund's hospitality tent before the race and spent some one on one time with the Taylor family. They also did a questions and answers session with the folks in the tent. 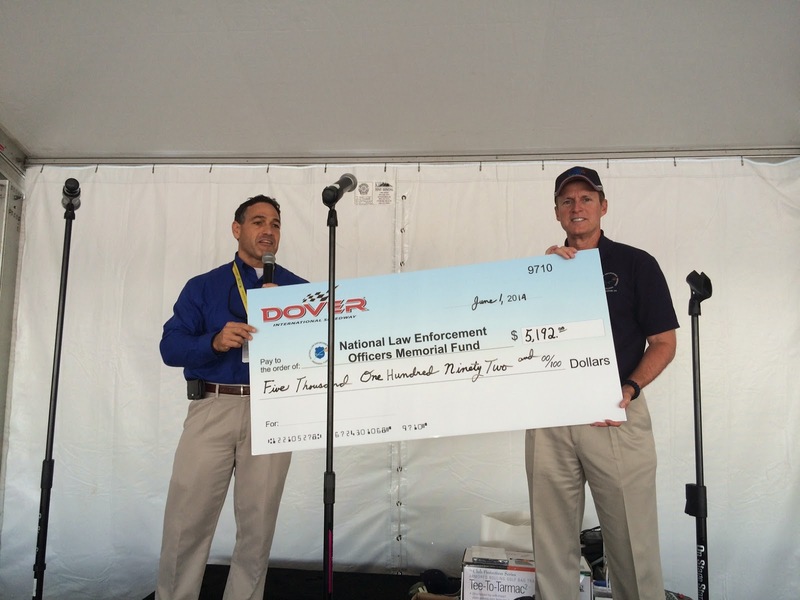 Dover presented a ceremonial check to the Memorial Fund for $5,192 and announced during the pre-race program that they have raised over $50,000 for the Memorial Fund and Museum during their 6 Law Enforcement Appreciation Days! It was a great day for racing, the Memorial Fund and fans. Thank you to all those who participated and helped us make this event such a great success!